She is a lovely filly that we've liked since the day we got her and she has strengthened really well this spring. She has done nothing but improve and she's not over-big but is a nice good-moving filly and nice ground is the key to her. She has improved since the last day and the hood really helps her to relax. She is very genuine but can be a little too enthusiastic. Colin gave us a good report there and said she feels like a Stakes filly. 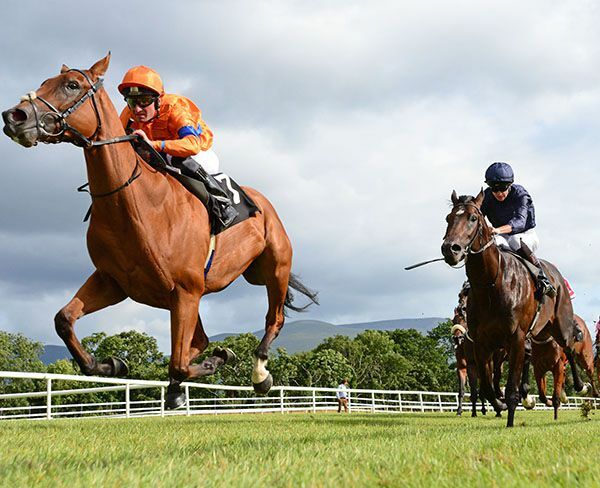 There's a Listed race at Galway if they still have nice ground and we'll go hunting for black-type now. 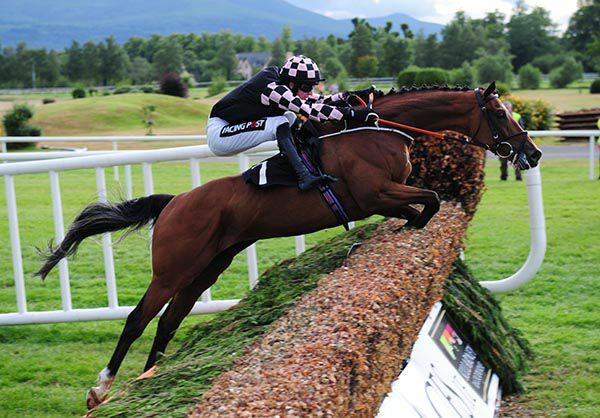 The credit really goes to Ian (Marmion, part owner) who sent me this lad and had an idea that there were a few races across these festivals that would suit him. This was the first of the ones that he had really pinpointed and scheduled for him and he was spot on. Ian is a terrific supporter and is a really good guy to deal with and I'm really lucky to have come into contact with him. 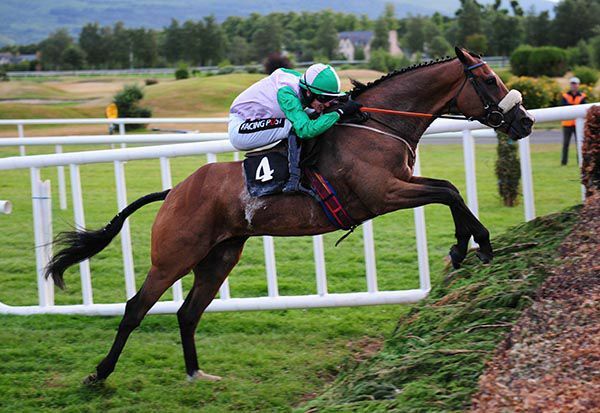 Between him and Shane (Hourigan) in the yard, who takes care of this fellow and practically trains him, they have got it spot on. I don't know why but pouring it on and pouring it on really seems to suit him. He does it efficiently. We train whatever horses we're given but I had reservations about this as I assumed he'd be fit from the Flat but I was worried about the depth of fitness - whether that would be in him from the way we train him on the flat. We brought him to Jim Culloty's for a pop yesterday and he is a very casual dude at home but was set alight yesterday when he saw fences. The relentless Flat mentally doesn't suit him as well as taking a look and he loved it there. 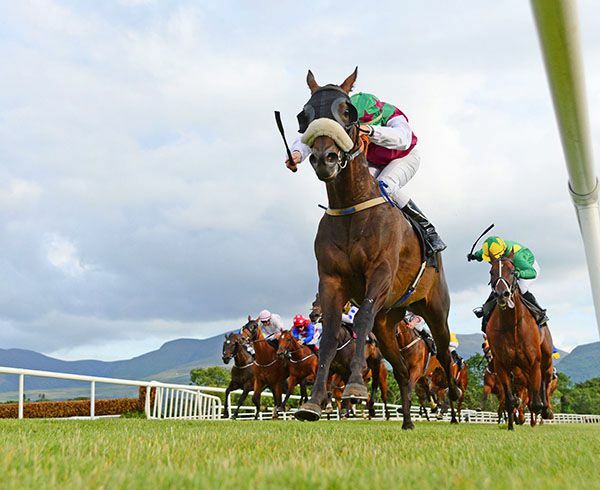 He could run in almost anything except the Corrib Stakes (for fillies and mares) at Galway but Danny felt there'd be no harm putting him in the Galway Plate, which closes tomorrow, and whether he runs in it the boys will all sit down and decide. His best form was over three miles plus but the blinkers sharpened him up as well. I turned 18 in March and am from Doneraile, Co Cork. 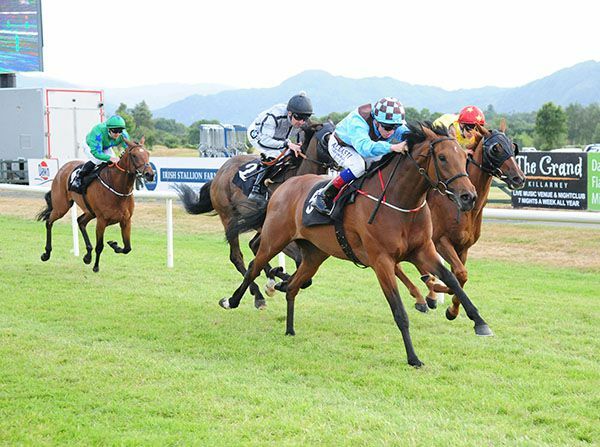 Darragh is a really hard worker and myself and Frank (Berry) were down at the second-last and said 'you can't beat youth' because he really asked him!. 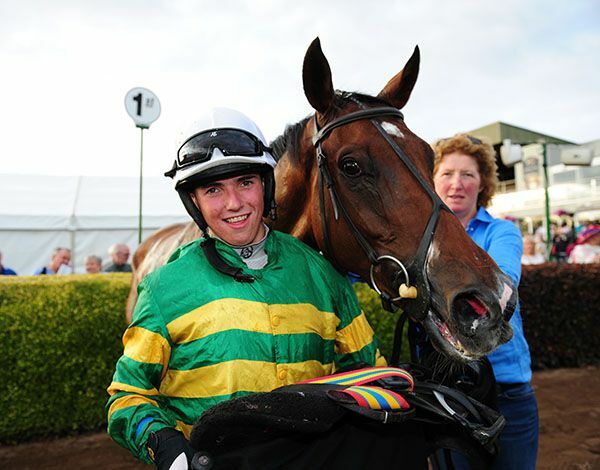 Today is Darragh's day and I'm chuffed for him and he gave him a great ride. Also thanks to Mr McManus for giving these lads the chance and it all counts for them. He is a lovely little horse but has trouble with his wind so we were happy the ground was on the good side. 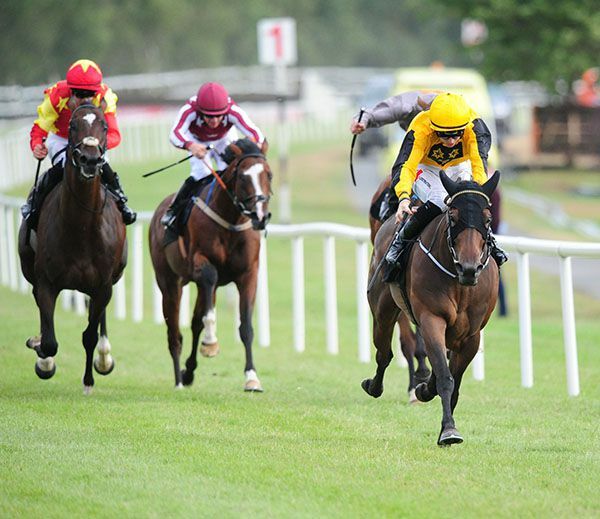 He may go to Tipperary on Sunday next.